d1 and d2 are real vectors corresponding to the denominators of the allpass filters H1(z) and H2(z). Create a filter, convert the filter to coupled allpass form, and convert the result back to the original structure (create the power complementary filter as well). 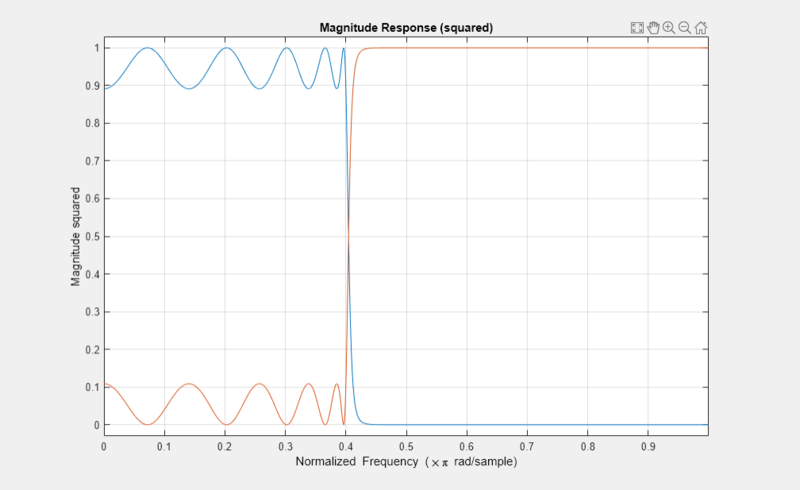 Plot the magnitude response of the original filter and the power complementary one.